The importance of website design is no more hidden to anyone. All of you expect to make your website look so attractive in front of your visitors that they visit it again and again. Whether you are going to design your website or hire a website design company for this work, it is very imperative to focus on certain factors like; scope of your business, type of customers and the different product line which you are offering to your customers. This article will provide you with some of the very interesting tips which you will require for designing your web pages. If your website is filled with heavy images and graphics, then it may take long time to load. Visitors usually doesn’t wait for a long time for a site to open, therefore, it is wise to be clear in mind that what exactly you need to focus on other than inserting unnecessary images. Another way to improve the credibility of your website is to provide it with fresh and legible content. Keep a note of the background color and the font size of your content that you use for your web page. An effectual content can immensely increase the creativity of your web design. It is always better to scan all the images and characters of your content on a scanner and look for their feasibility and how effective they look like? You can check your images by using filters or by tracing it live in an Illustrator. Try different textures while drawing images and this will give an exact idea of your imaginative work. Most of the designers choose photos for website from the stock sites. It may happen that those same photos may be used by some other designers as well. Therefore, to ensure the creativity for your web pages it better to take your own pictures. This will not only make your web page look different from others but also will enhance your experience in creative designing. Generally most of the designers use Adobe Photoshop to incorporate their designs but you may look for some other design programs as well like; Cinema4D. You can check your potential to develop effective designs by using various designing programs. After all, it’s all about how different you make your site from others. While creating URLs for your website make sure that the keywords entered by you in it are easily readable by the search engines. This helps your site to open up quickly and enhances its functionality as well. In the designing industry, the one who follows his own sets of rules and procedures is known as trendsetter. You may try blending different styles in various formats which will give you a complete creative art work ready as design for your web page. 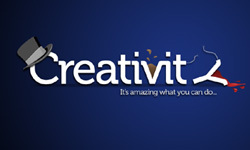 I am sure that above tips will give you a clear idea about creative and useful web designing. Try them while designing your website and you will definitely take benefit of your business website. Jack Sam White is the online marketing executive and technical writer for Website Design Company, SiteSpices. He is expert in web designing and SEO, have contributed as writer in many small business related blogs including SmallBusinessFriends.